You can send reminders to employees who are working certain dates – if you check off all employees, an email will be sent to only to those who are scheduled for the date range chosen. It will send them a list of their upcoming shifts along with your optional message. 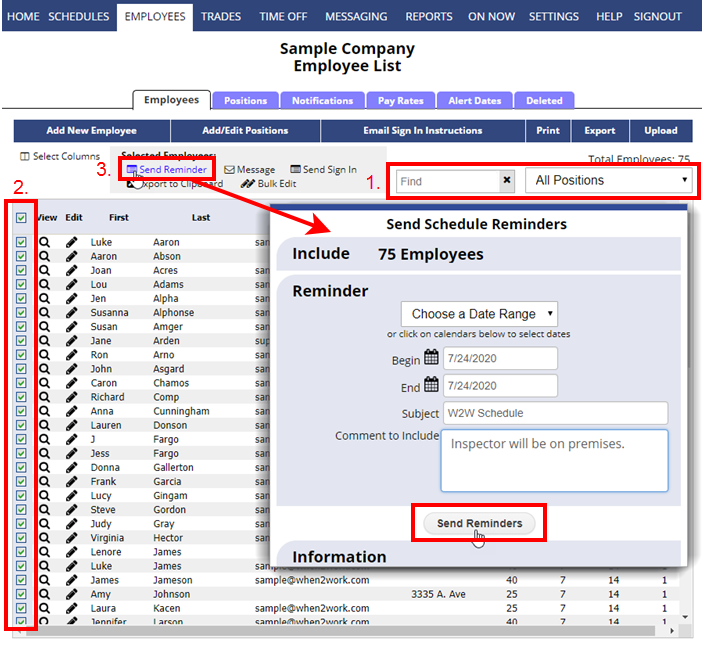 On the List Employees page, check off the employees to be included in the reminder (usually all, or filter first on one Position and click “Select All”), then choose the date range for the shifts to include. Reminders will be sent out only to the checked off employees who have shifts during that date range. You will see a confirmation of all the emails sent out (Any employee who does not have a shift during that date range is not sent a reminder).